These images were photographed on dusty roads in southwest Arizona at the foot of the Coronado National Forest adjacent to the Chiricahua National Monument. The area is popular with astronomers since the land is sparsely populated with no interference of town lights. All images were taken near sunset. The grass, bent and soften by movement, evokes sand dunes. 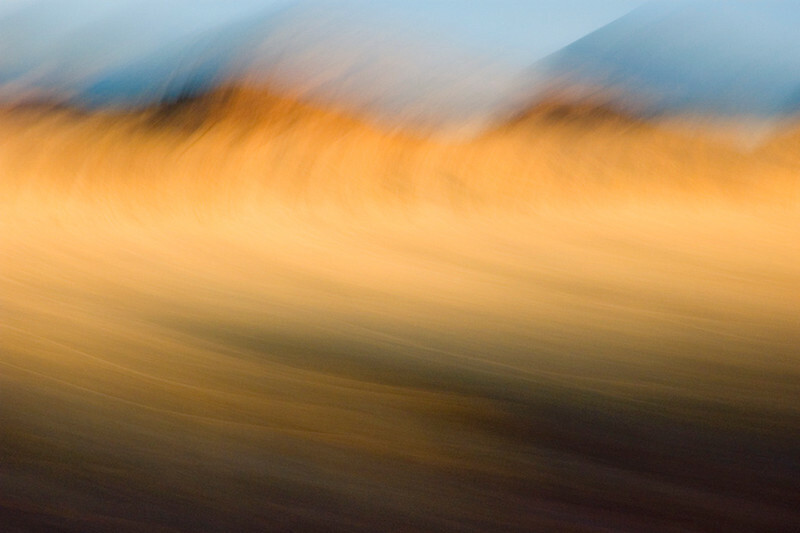 These are the artist's first landscapes using the movement technique she is working on.